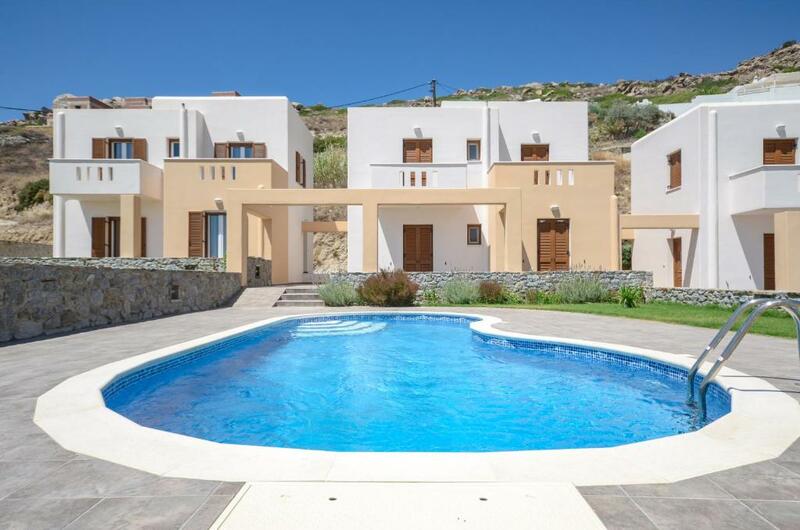 Located in Mikri Vigla, 650 feet from Mikri Vigla Beach, Naxos Luxury Villas features villas with private outdoor pools and views of the sea. The accommodations is air conditioned and has a seating and dining area. All units include a terrace and balconies. There is also a kitchen, fitted with an oven and toaster. A fridge and a stovetop are also available, as well as a coffee machine. Towels and bed linen are featured. Naxos Luxury Villas also includes free private parking. 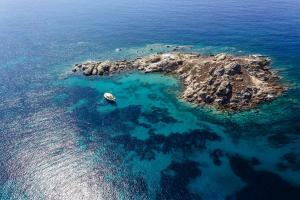 Guests can enjoy various activities in the surroundings, including horse riding, diving and fishing. Naxos Island National Airport is 3.7 mi from the property, and the property offers a free airport shuttle service. When would you like to stay at Naxos Luxury Villas? 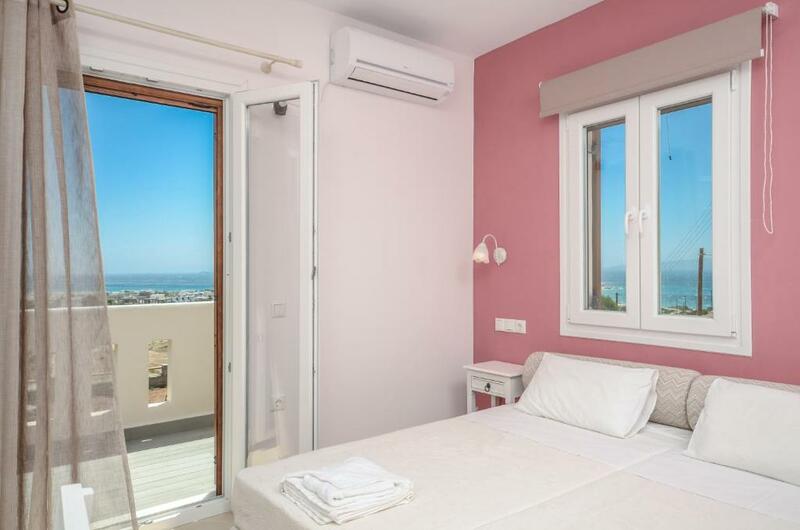 This villa has a balcony, soundproofing and bathrobe. 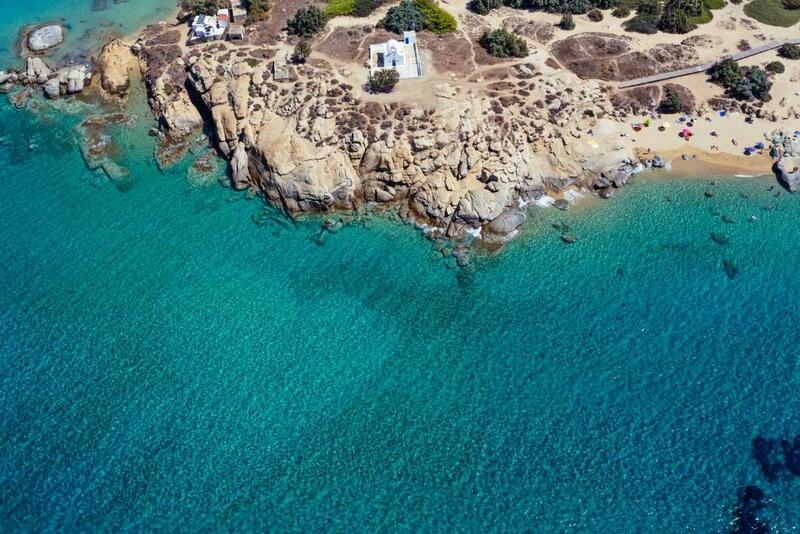 Naxos Luxury Villas is located in Mikri Vigla of Naxos. It consists of 4 autonomous residences with unique amenities and amazing views. 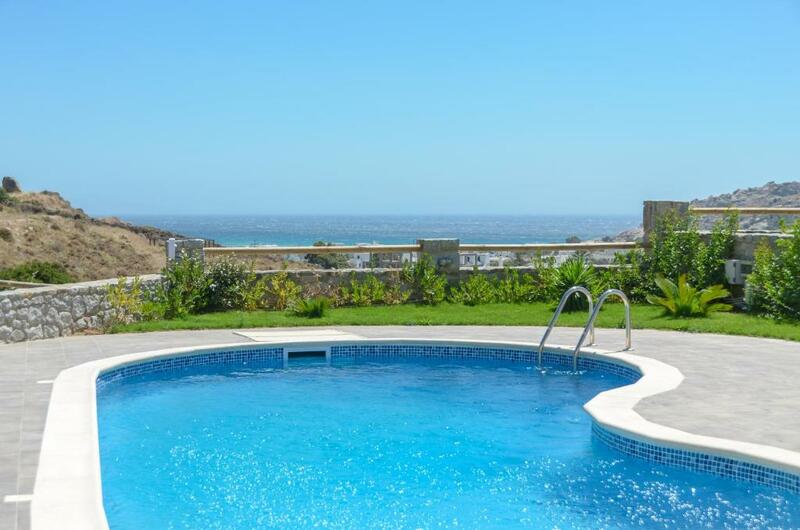 It is 250 meters from the sea, taverns and supermarkets. 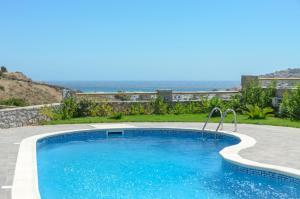 The airport is 6 km from the villas and transportation is offered. Each villa of 100m2. 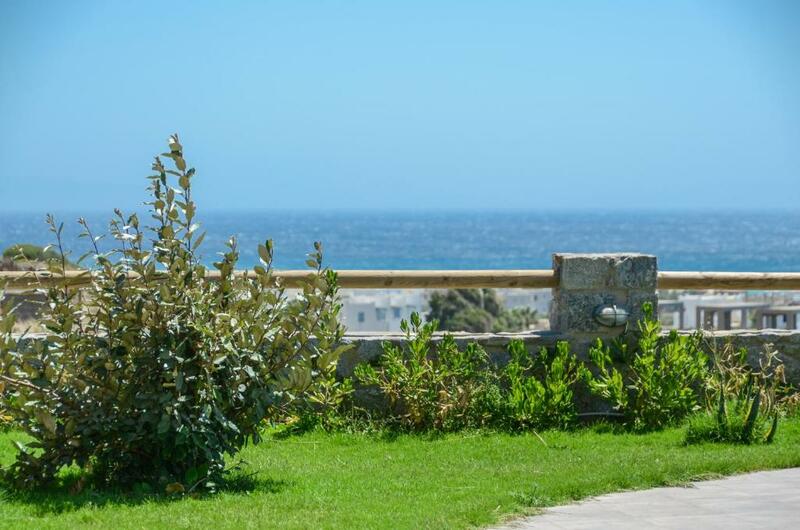 consists of 2 floors with spacious living areas, living and dining areas, new furnishings, overlooking the garden, the pool and the sea. Free private on-site parking is available, air-conditioning in all interior spaces and free WiFi. The whole unit is accessible to wheelchairs or children’s trolleys, the upper floors are reachable only by stairs. 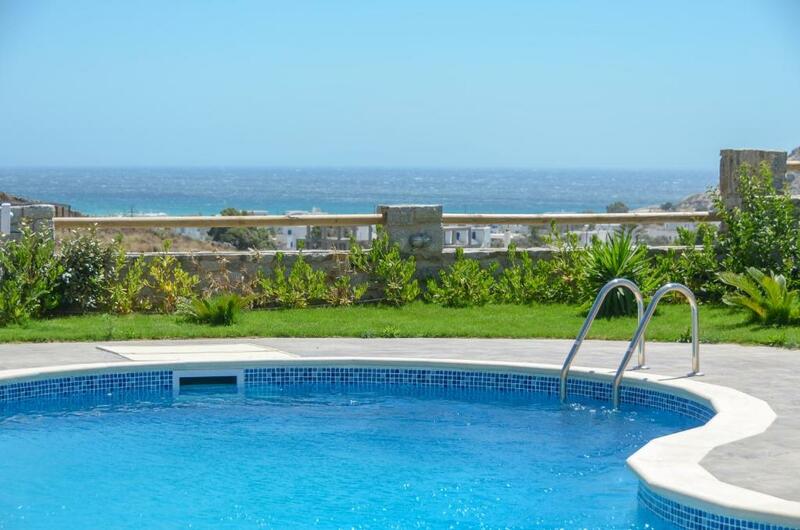 Each villa features terraces and balconies overlooking the sea, the garden and the private outdoor pool. In the area one can enjoy activities such as horseback riding, climbing, fishing diving, windsurfing, kite – surfing. About Mikri Vigla in Naxos Mikri Vigla is located on the South – West of Naxos island and less than 17 Km from Chora. The port and capital of Naxos, history and traditional Cycladic architecture come across with the wild beauty of the coastal landscape. The cape of Mikri Vigla (small watch-tower) constitutes a rare geological phenomenon due to the unique cedar-tree forest, one of the few world-wide. 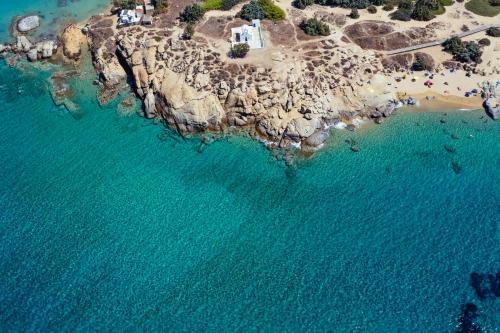 Endued by nature and untouched by massive tourism, Mikri Vigla is famous for the golden sand that goes into the crystal-clear blue waters of Naxos. On the South side of the cape lays the endless beach of “Sahara”, famous for its hundreds of meters of golden sand that continues over the next village of Kastraki. Sahara beach is ideal for swimming, relaxing and enjoying the pleasures of the Aegean Sea. On the other side of Mikri Vigla, we meet Orkos beach, also suitable for water-sports or swimming. House Rules Naxos Luxury Villas takes special requests – add in the next step! Naxos Luxury Villas accepts these cards and reserves the right to temporarily hold an amount prior to arrival. Please inform Naxos Luxury Villas of your expected arrival time in advance. You can use the Special Requests box when booking, or contact the property directly using the contact details in your confirmation. Don't stay here unless you want to chase a fault list. It took us 5 days to get hot water. Pool murky and well below par. No WiFi until day 3, oven didn't work and had to get electrician out. Not my idea of luxury, no hot water for 5 of 6 days stay, nor having work-men traipsing in and out. Poor. The wardrobes were small and very bad quality. We couldn’t open the drawers. The water flow for shower was insufficient not to mention that some days we didn’t have water from the morning to wash our face or for our basic needs. I liked only the view from the garden and the garden .